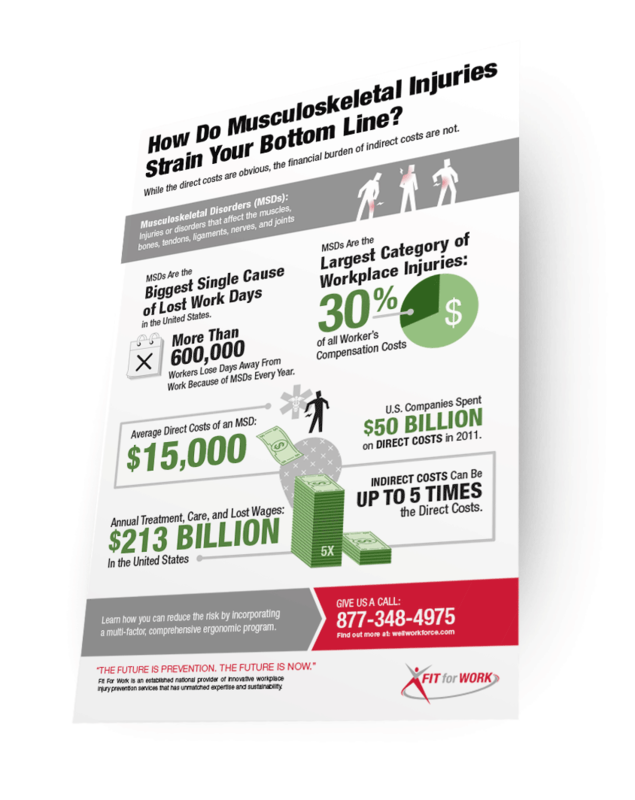 Infographic: How Do Musculoskeletal Injuries Strain the Bottom Line? Days away from work, direct costs, indirect costs, and annual treatments of musculoskeletal injuries add up, costing your business time and money. Learn how you can reduce the risk by incorporating a multi-factor, comprehensive ergonomic program in your workplace. Download our printable infographic to learn more about the price of musculoskeletal injuries.